WOW !! NEW STOCK JUST ARRIVED AND IN WONDERFUL, ALMOST 'AS NEW' CONDITION. 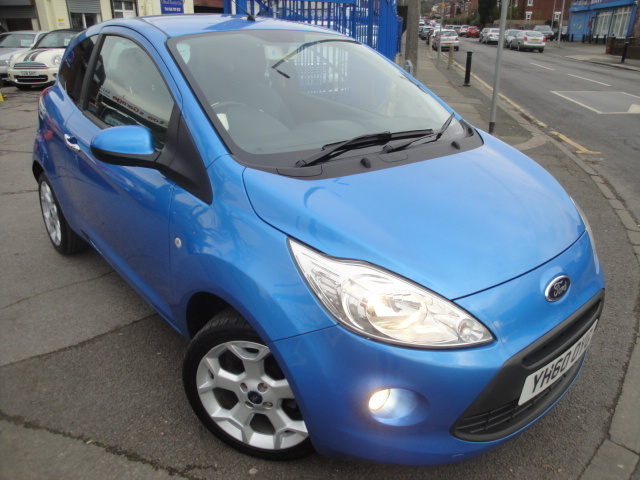 THIS FORD KA TITANIUM HAS COVERED JUST 3840 MILES FROM NEW WITH 2 LADY OWNERS. THIS IS A LOW MILEAGE VEHICLE NOT TO BE REPEATED !!! COMES WITH SERVICE HISTORY, HAND BOOKS AND 2 KEYS. SERVICED AT 589, 1401 AND 1831 MILES ALL OF WHICH HAVE BEEN CARRIED OUT BY THE SAME FORD MAIN AGENT.